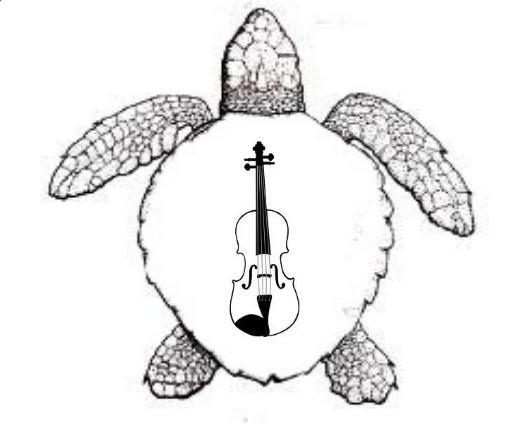 Welcome to Fiddling Turtle Violins. You've found my small home on the web. Fiddling Turtle Violins specializes in quality, affordable violin/fiddle repair and occasionally has instruments available for sale. I'm an amateur player of old time fiddle music and have a deep love for both the music and the instruments that has led to the creation of Fiddling Turtle. This is not the kind of endeavor that's going to get me rich, I do it because I want others to join in and play music. I currently do full setups, adjustments and many repairs. Although not a full service music shop I do offer an assortment of affordable accessories such as shoulder rests, rosin and student quality bows. Sorry, no books as there are just too many good titles to choose from. Strings, both silver nickel and perlon are available installed although not available for retail. Special orders are also available upon request and deposit for instruments, cases and other accessories. Do you have a fiddle purchased from me or somewhere else? Have questions you want answered about it or about fiddles/violins in general. Well don't be afraid to ask, just send me an e-mail.